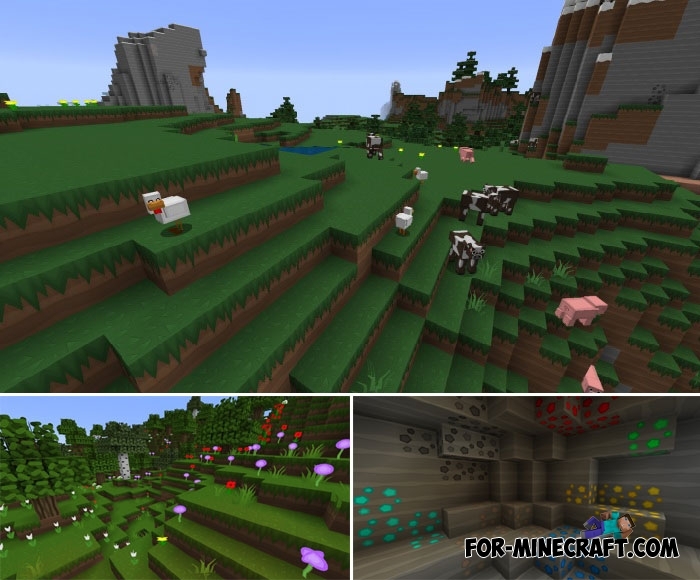 This is an excellent solution for improving graphics in Minecraft Bedrock and increasing the resolution to 128x. No realism or modern style, Simply Beautiful is concentrated on the beauty of vanilla textures. You will not see anything superfluous, only high-quality pixel style and good detail. 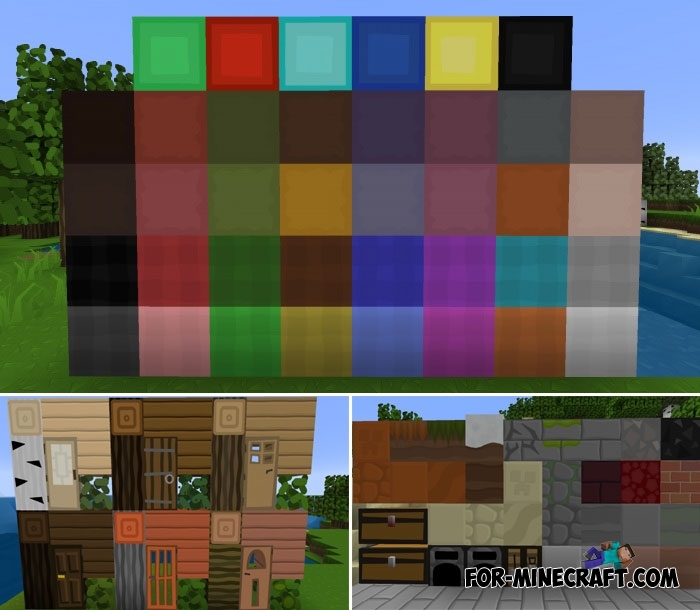 It would be nice to install some shaders for Minecraft PE in addition to these textures thanks to which the sun will shine with new colors, and the shadows will nicely fill your world. 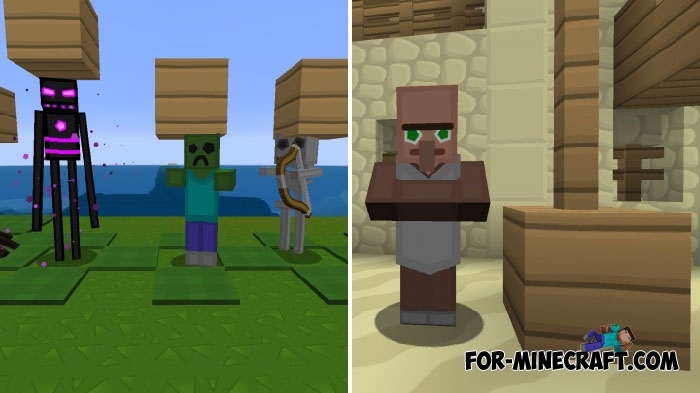 Sometimes you can see funny and amusing mobs, as well as new icons. How to install Simply Beautiful?